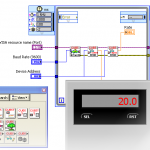 Integrated Pro has released the Panel Meter Communication Library for LabVIEW. This VI library contains VIs (Virtual Instruments) and example code for implementing communication between National Instruments LabVIEW™ and one or more Red Lion® Controls CUB5 series panel meters via RS‐485 serial bus. The library also supports communication via USB or RS-232 serial to a single device. Many panel-mounted process or temperature PID controllers have the capability to communicate via RS-485 serial communications. Interfacing with LabVIEW™ is a quick and low-cost way to add supervisory control and data acquisition (SCADA) to one or more loops using in a process control application, or to integrate DIN-sized controllers into test setups in a laboratory environment. Simplify your automation programming by using our Process Controller Communication Libraries for LabVIEW™ to add drag and drop, instrument driver-style VIs to your LabVIEW programming. The DRS-1000 Non-contact Speed Sensor by GMH Engineering is an OEM Doppler radar-based sensor used in many areas of transportation instrumentation. 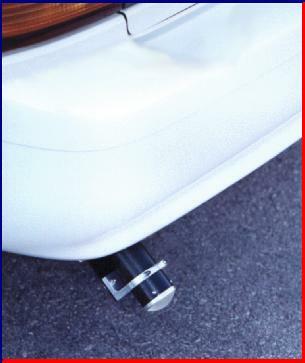 The sensor is dual purpose and can be used either in a vehicle-mounted configuration to determine vehicle ground speed, or in a ground-mounted configuration to determine the speed of a target object, as in traffic monitoring applications.